(SPOT.ph) The holiday break may be over but that doesn't mean you can't catch up on the blockbuster hits that you probably missed while you were doing your early Christmas shopping. It was only in October when Venom hit cinemas, but you can now watch Eddie Brock (Tom Hardy) turn into the spine-tingling creature on video-on-demand service HOOQ. Aside from Venom, you can now also watch the hit Thai comedy Brother of the Year. 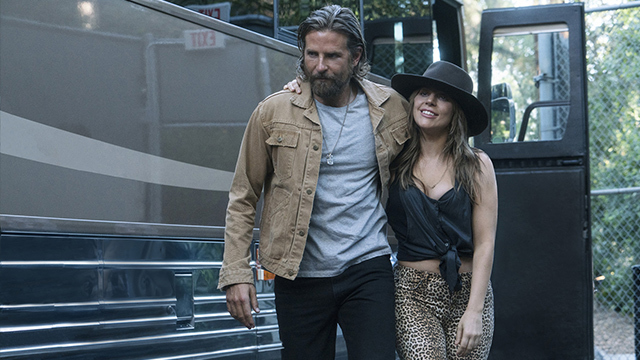 You'll soon also be able to watch Bradley Cooper and Lady Gaga's critically acclaimed A Star Is Born, Ryan Gosling and Emma Stone's swoon-worthy La La Land, the thriller The Girl in the Spider's Web, and horror film The Nun. You can also get your fix of Pinoy entertainment with titles like Crazy Beautiful You starring Kathryn Bernardo and Daniel Padilla, The Maid in London starring Andi Eigenmann, and The Day After Valentine's starring Bela Padilla and JC Santos. You might want to block off your weekend—you've got a movie marathon to do. Update as of January 4, 2019 (1:30 p.m.): A Star Is Born will be available on HOOQ starting February 11 and La La Land will be available starting March 1.